Beijing has launched an all-out assault on what it calls separatism. 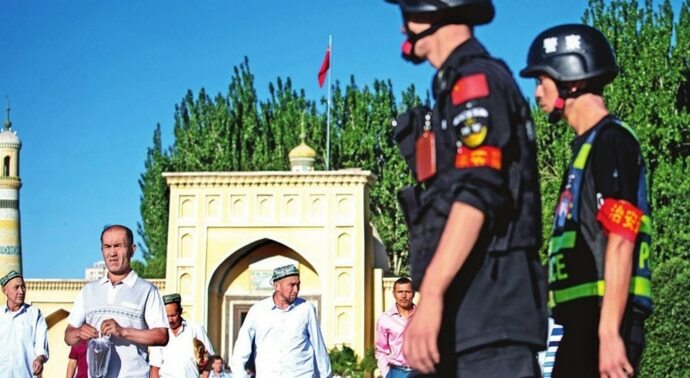 China has long been concerned by what it calls the “three evils” of “terrorism, separatism and religious extremism” in its far-western Muslim-majority Xinjiang region. More than half of Xinjiang’s 20 million population is Muslim, predominantly eight million ethnic Turkic Uighurs, as well as Kazakh and Hui minority groups. Since riots in 2009 that killed 197 people, Xinjiang has seen intermittent violence that Beijing blames on Uighur separatists. With the appointment of a new hardline party chief in 2016 — Chen Quanguo, who was responsible for a sweeping security clampdown in his prior post in Tibet — Beijing has now appeared to launch an all-out assault on what it calls separatism, but what has now swept up tens of thousands of ordinary Uighurs in an unprecedented crackdown. That means one out of every eight Uighurs has likely been taken in forcibly into one of these centres. The crackdown has focused on young Uighur men, so if you’re a male and between the age of 20 and 40, the odds are that you will find yourself locked up in a centre. The writer is China correspondent for India Today.